She is an ideological creator, a methodologist of the project and a holder of accreditation for this training program. In 2016, she received a Special Prize for the National Career Advice Award and has since been invited to various scientific conferences in Slovakia and abroad, presenting Lifeology as an example of good practice in Slovakia. She studied Andragogy at the Faculty of Arts of the Comenius University in Bratislava. In the sphere of adult education and education she has been active for over 18 years. She leads and mentors so-called “Teen mentors” in this project, but also youth leaders from Poland, Slovenia, Croatia, Turkey, Greece, Bulgaria, the Czech Republic, Romania and Italy. In 2017, she was a mentor in the Wake Up project, which organizes Future generation Europe every year. In companies, they are conducting communication trainings, group dynamics for state and public workers. She is the author of "Tomorrow's Leadership", taught at the University of Economics in Bratislava at the Center for North American Studies. She also trained speakers at the TEDx conference in the Czech Republic. At the initiative of an adult community, this year 2018 she opens the "Adult Lifeology School”. Together with Henika, you will learn about everything you have not known before and how to work with it. If you take the first subject of You and want to choose the right path of self-discovery, Henika will help you with joy. She is PR and Creative Project Support and Teen Mentor of the Pilot Year. In 2007, she received the Children's Act of the Year award in the category Assistance to Other People. In 2015 she published the book Life is like ... fulfilling the incomplete dream of her mom, former journalist Zuzana Lajdová, In memoriam. A year later, she became the Most Inspirational Female City Award for 2015. 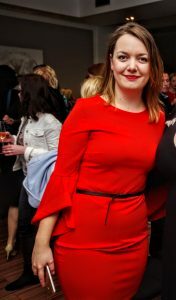 In addition to studying journalism at FiF UK in Bratislava, she is now the editor of the Women in the City portal, helping the lay public to publish her own books, is a mentor in the writing of texts and articles, a spokesperson and a winner of two consecutive years in a nationwide speech contest. He has had youth exchange stays in Berlin, Erasmus mobility in Madrid, traineeships in Moscow and Kiev. He speaks English, Russian and Spanish, tutoring foreigners to Slovak. If you want to improve your skills in the above areas, Gabika is the right choice for you. She has experienced youth exchange stays in Berlin, Erasmus mobility in Madrid, traineeships in Moscow and Kiev. She speaks English, Russian and Spanish, tutoring foreigners Slovak. If you want to improve your skills in the above areas, Gabika is the right choice for you. It is marketing and strategic support for the project. In 2015, he was awarded the Student Business Award of the Year award, owning a Yacht Captain (from his 11 years of professional yachting and double champion of Slovakia). He graduated from the Faculty of Management at the Comenius University and received a prize for his diploma thesis Naj Diplomovka 2017. 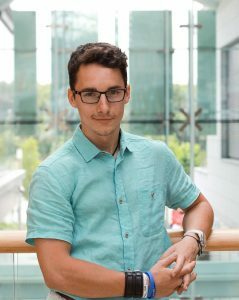 He is the president of the non-profit organization JCI Bratislava, and he is also the winner of the nationwide Toastmasters speech contest in prepared speeches. In Slovakia, he is also distributing the Octago project and participating in the establishment of the Parallel Polis. Dušan regularly lectures at high schools and colleges about business and about how to start changing your idea into business. He can help you with setting up and creating a business plan, validating the idea, recommending marketing activities, looking for an investor, and all the business-related activities.